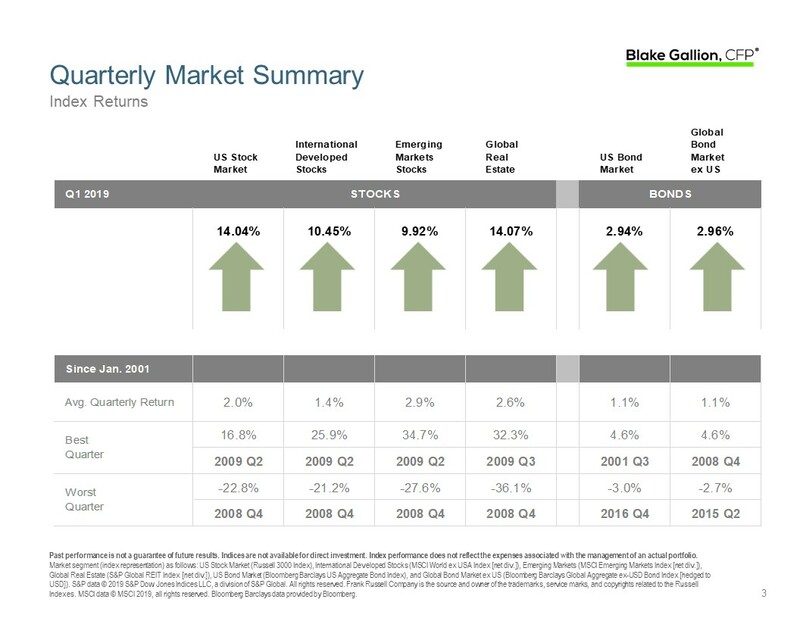 The first quarter of 2019 was a welcome move upward after the dip at the end of last year. The US market rallied and was up over 14%, while international and emerging market stocks were each up around 10%. Bonds both in the US and globally were up almost 3%. For a detailed Market Overview, click here. Planning note: The tax filing deadline is next Monday, April 15th. If you haven’t maximized your retirement account contributions but are able to do so, be sure to get those contributions done right away. If you have questions about this feel free to contact me or discuss with your tax preparer.